The plant is named after an Afrikaans expression "om die anker te lig" -hence the name "Ankerlig"-, which suggests a community that rises above the chains of poverty to go onto grow and prosper. The Ankerlig plant was built at the same time as the Gourikwa Power Station at a combined cost of R3.5 billion and was opened on 1 October 2007 by Deputy President Mlambo-Ngcuka. 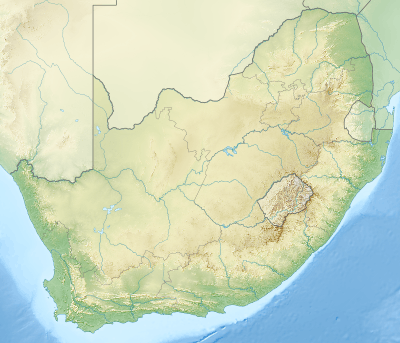 The plant is located close to the R27 just north of Atlantis in the Western Cape. ↑ "Eskom's new power stations named". EE Publishers. Retrieved July 13, 2011. ↑ "Ankerlig Power Station Conversion and Transmission Integration Project" (PDF). Eskom. January 2008. Retrieved July 13, 2011. ↑ "Energy Sector Reference Projects". Siemens. Retrieved July 13, 2011.